Many collectors truly believe they are able to witness Zambia’s historical story through the country’s postal stamps. Prior to Zambia’s independence, the region was known as North Rhodesia and used Rhodesia’s postage stamps. On April 1st, 1925, Northern Rhodesia issued its first stamps with “Northern Rhodesia” printed on them. These stamps displayed images of the region’s wildlife including elephants, giraffes and other animals with the region’s topography. The early stamps of Northern Rhodesia also depicted images of rulers including King George V and Queen Elizabeth II. The region’s first set of commemorative stamps celebrated Cecil Rhodes and were issued on May 30th, 1953. Northern Rhodesia eventually joined the Federation of Rhodesia and Nyasaland in 1953, after which the federation’s postage stamps were utilized in the region. Under the federation, a definitive series of stamps were issued on December 10th, 1963. Stamps from this African series portrayed both Queen Elizabeth II and the coat of arms. This series was used less than a year and were longer valid by October 23rd, 1964, when Zambia gained independence. 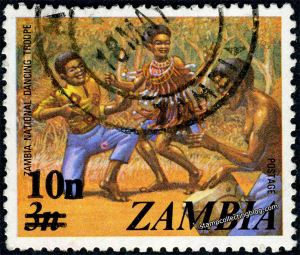 The first stamps to have Zambia printed on them were issued on October 24th, 1964. They had images of different cultural representations and popular scenes in the region, once again portraying the country’s wildlife and unique flora and fauna. 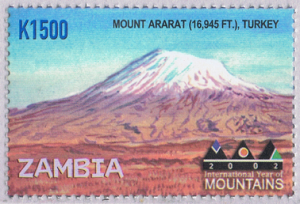 Zambia’s stamps have featured many world leaders and explorers including Robert Baden-Powell, Dag Hammarskjold, David Livingston and the Countess of Snowdon.